My name is Clay Russell. I am a Director of Operations for a popular restaurant chain based in Texas. I oversee 6 restaurants employing about 300 employees. I also run the TEKSide Network, which hosts 2 blogs and 11 monthly podcasts centered on casual conversation from people passionate about technology. I’m all in on the Apple ecosystem of products. My current device lineup consists of a MacBook Pro, iPad, iPhone, Apple TV, and Apple Watch. I use a MacBook Pro at the start and at the end of every work day. The 13″ late-2016 MacBook Pro with Touch Bar is my daily driver for the heavy stuff, whether it be highly-formulated spreadsheet work in Numbers or recording and editing podcasts in GarageBand. My current macOS wallpaper has had some staying power. It’s minimal in color and design and has a serene feel to it. You can find it here. I am a task management junkie. My favorites are Todoist, OmniFocus 2, and Things 3. I use them all in different ways, and because I love using all of them, I try to use them differently so that they all have a legitimate use case. 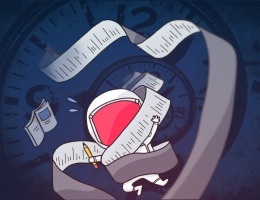 Todoist: repeated tasks. You can find my custom setup video here. OmniFocus 2: multi-action projects, project templates, custom perspectives, and contextual lists. Things 3: single action tasks and brainstorming. My other favorite and most used Mac apps would be Newton Mail, Bear Notes, Evernote, Day One, and Slack. Newton Mail: a modern day miracle, distraction-free, amazingly powerful email client. 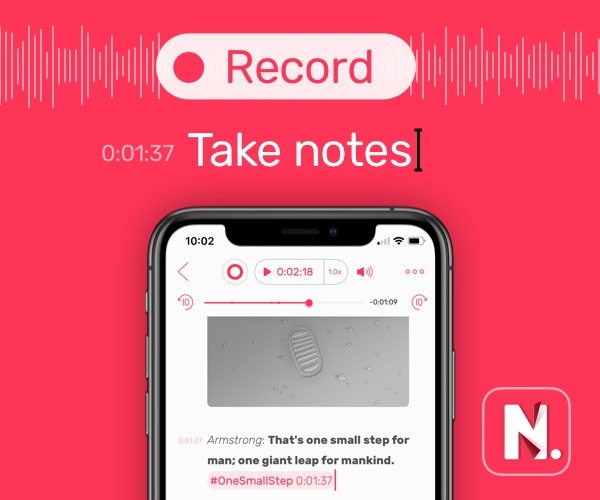 Bear Notes: a beautiful and well-designed alternative to the Apple Notes app with syncing that actually works. Evernote: where notes, websites, files and anything else end up after I am no longer using them but want to retain for reference later. Day One: I journal regularly. Whether it be for work, personal memories, or favorite quotes, Day One provides a nice canvas for jotting these things down and truly capturing the moment. Slack: how I communicate with my teams, whether it be work- or network-related in nature. Honorable mentions go to 1Password, Hazel, and Clean My Mac. They are the ultimate utilities for saving me time and storage. I dream of a device powerful enough and portable enough to be my one and only machine. Will Apple ever create a MacBook with the full power of macOS but feature a detachable display that is essentially an iPad Pro when you need iOS? A man can dream. Another idea would be to replace the trackpad with your iPhone. And while you are at it, how about charging your phone while it’s docked there? I currently use a Rose Gold iPhone 7 Plus 256GB — This is the essential center of my digital life. Whether it be my work life, network life, dad life, or for my own personal growth, it keeps me focused and on time with all related events, tasks, and projects. 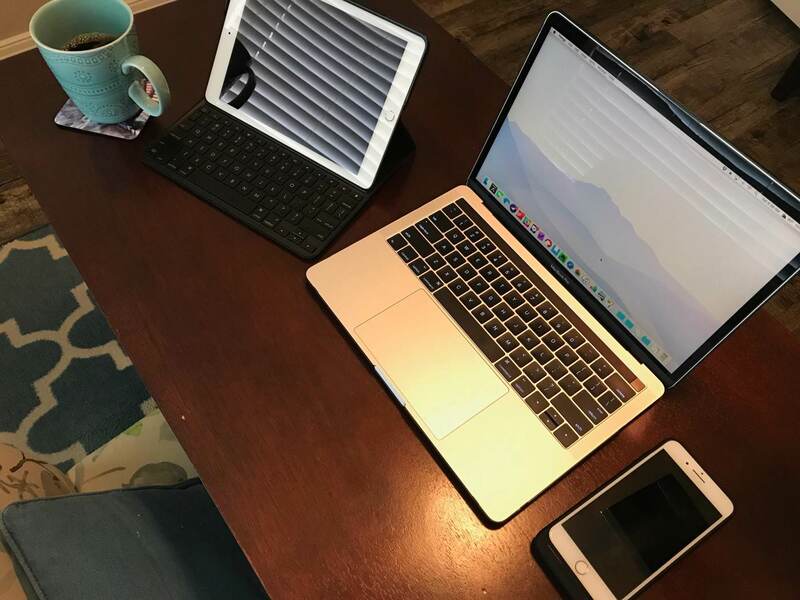 I keep it juiced up with a Mophie charging case and have additional wireless charging accessories available that allow me to wirelessly charge in my truck, at my desk, or while I sleep. My current lock screen wallpaper can be found on our blog. 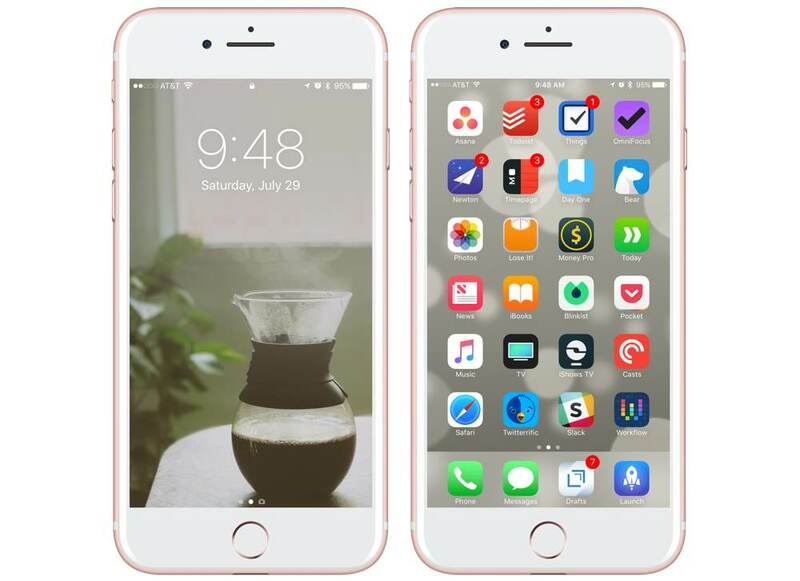 It was a recently featured Weekly Wednesday Wallpaper that TEKSide contributor @iBees posts on the iPhonaddict Blog regularly. The home screen is one of the stock dynamic wallpapers. The same ones apply to my phone as on my Mac: Todoist, OmniFocus 2, Things 3, Newton Mail, Bear Notes, Evernote, Day One, Slack, and 1Password for the reasons mentioned above. But on the iPhone, I would have to add a few to that list: Lose it!, Money Pro, Today, Pocket Casts, Twitterrific, Workflow, Drafts and Launch Center Pro. I also am in love with the Apple News app. Lose It! : for tracking nutrition and fitness goals. Money Pro: for tracking personal finances. Today: for tracking daily goals for personal growth. Workflow: I’ve assembled quite a library of custom workflows. 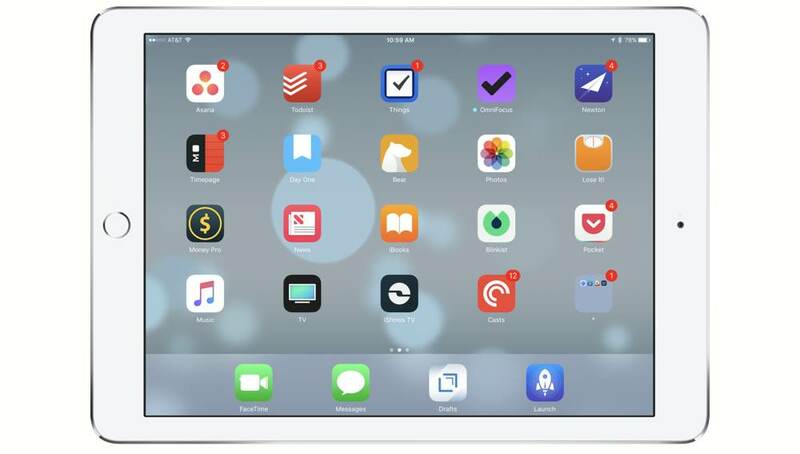 This app brings true automation to the smartphone and iOS operating system. Drafts: The essential piece of GTD methodology. Capture. Launch Center Pro: so key to performing commonly repeated tasks on my iPhone. Launch Center Pro: So much work went into setting up these custom URL schemes. This app saves me an obscene amount of time every single day. Here is a setup video I did a few years back that demonstrates the power of LCP. I also wanted to mention that the watch has been extremely helpful in helping me prioritize and triage notifications throughout my day. Being in the restaurant industry, there are many instances where I need to have my hands free and clean to work in the kitchen preparing food. The Apple Watch allows me to do this way more efficiently. I currently use a silver iPad Pro 9.7” with 128GB of space. You can find it right in the Settings app. I love the simplicity. This is primarily a media consumption device, but with the Logitech Create keyboard and Apple Pencil, I can also bring it into meetings for note-taking and presentations or to local coffee shops to triage emails or do other light work. I use the exact same apps as I do on my iPhone. Even the home screen layout mimics that of the iPhone. The iPad comes in handy when I have time to sit and could use the additional screen real estate that the iPad offers. iOS 11 may have me rethinking how I use the iPad moving forward. I’m excited about that.